Amorax is a highly effective filter medium used to break down ammonium in your aquarium. It prevents the formation of ammonia, effectively reduces the growth of algae and can contribute to improved plant growth. Do I need to adjust my filter media for operating a saltwater aquarium, or are the filter media fitted at the factory just as suitable for saltwater use? The filter media filter floss, carbon sponge, fine filter sponge and coarse filter sponge that are fitted at the factory can also be used for saltwater aquariums. The optional filter media such as Amorax, Carbax, Cirax and Phorax are also suitable for saltwater aquariums. The filter booster bioBoost and the nitrate remover Nitrax, on the other hand, should be used for fresh water aquariums only. Can the Bioflow filter that is installed at the factory also be used for saltwater aquariums? Yes, the Bioflow filter is also suitable for saltwater aquariums. For the optimised operation of a saltwater aquarium you will also need the JUWEL SeaSkim and a ceramic axle for the pump in the inside filter. The JUWEL SeaSkim contains a low-noise and powerful Eccoflow SeaSkim 1500 pump that ensures the formation of extremely fine bubbles and therefore guarantees effective protein skimming in your saltwater aquarium. Where do I insert bioBoost, Carbax, Amorax, Cirax and Phorax in my filter? "BIOFLOW M/L/XL: bioBoost should be placed directly underneath the filter floss. 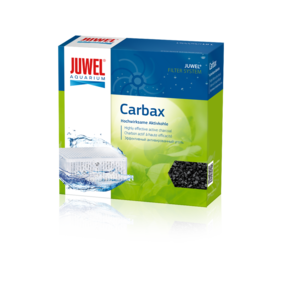 We recommend that Carbax is used in the upper filter insert, between bioCarb and Nitrax. Amorax, Cirax and Phorax should be placed at the top of the lower filter insert. BIOFLOW SUPER: bioBoost should be placed directly underneath the filter floss. Carbax, Amorax, Cirax and Phorax can be used in the upper part of the filter basket, instead of the Nitrax sponge. Please refer to our change flyer in the download centre for information about the exact placement of our filter media." When should I use the optional filter media? 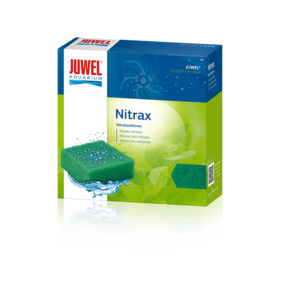 In addition to the filter media fitted at the factory, JUWEL Aquarium offers a range of additional filter media. 1. When newly setting up or replacing your other filter media, we recommend using the filter booster bioBoost that immediately activates the new filter media and accelerates the filtration performance in your aquarium. 2. 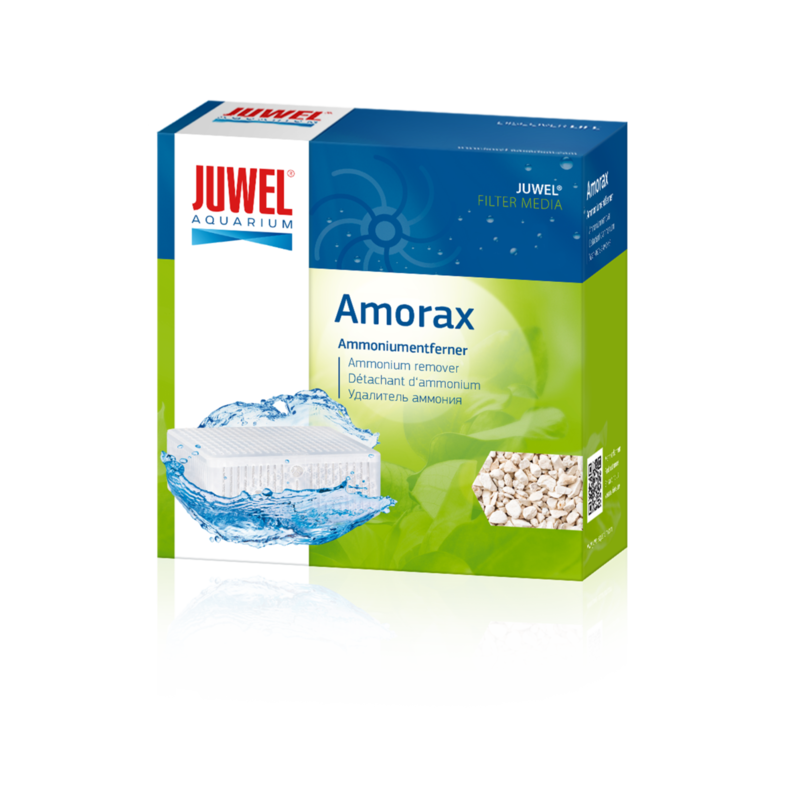 If your aquarium shows increased ammonium values, you should used our filter medium “Amorax”. It quickly and effectively binds ammonium, prevents the formation of ammonia and promotes the vitality of your fish. 3. If you perceive odour formation in your aquarium, or if the water changes in colour, you should use the filter medium “Carbax”. 4. 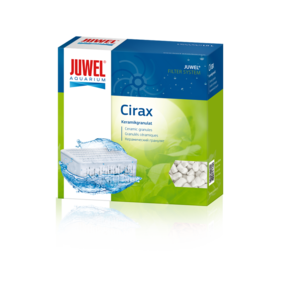 The filter medium “Cirax” provides an even greater surface for filter bacteria to settle, than the fine filter sponge bioPlus, and it thus provides for a consistent filtering effect in your aquarium. 5. 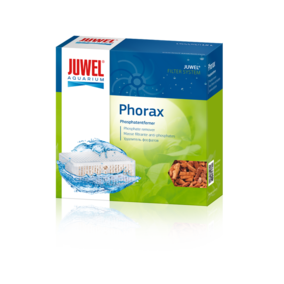 If your aquarium shows increased phosphate values, you should use our filter medium “Phorax”. This medium removes phosphates from your aquarium, and it effectively reduces algae growth and promotes improved plant growth. There may be various different reasons, if your pump is unpleasantly noisy. Please check that your pump is positioned correctly, and make sure to observe the 6 to 8 week run-in period when taking your Bioflow filter into service. To ensure optimised functionality and running smoothness for your pump, we recommend that the pump is cleaned on a regular basis, and that wear parts such as the impeller and axle along with the rubber bearings, are replaced every 12 months. Which filter system do I have? 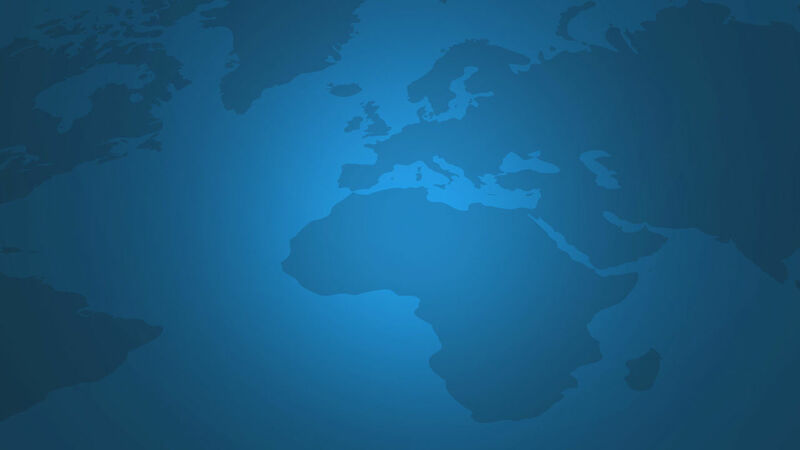 You may find the respective information in the instructions for use in the aquarium passport. If you have misplaced your aquarium passport, you are able to access the file “compatibility chart” in our download area. Based on the size of your filter media, you are then able to identify the filter system used in your aquarium. Please feel free to contact our customer service for assistance. How do I identify a Bioflow filter? The pump is arranged next to the filter media in the intake chamber of the filter housing. Advantage: Free access to the filter media simplifies the filter maintenance! Which pump may I insert into my filter? With the exception of the Eccoflow 1500 that may be installed in the filter Bioflow L/6.0 and XL/8.0 only, you may insert all JUWEL pumps into each filter. Simply keep in mind for pumps 280 and 1500 that they do not fit into the Bioflow filter. And conversely the pumps Bioflow 280 and 1500 do not fit into the filters Compact, Standard or Jumbo. Where do I insert Cirax into my existing filter? We recommend inserting Cirax at the top spot in the lower filter insert. The impeller is the rotor equipped with a magnet in the pump. It should be replaced every 12 months in order to ensure operating quietness. Is it possible for the filter or pump capacity to decrease? If the filter media have been clogged, the water quantity passing through the filter is reduced. The water level in the filter slowly begins to drop. The capacity of the pumps is designed in such a manner that they have sufficient reserves. Tip: Check the water level in the filter housing every week, when replacing the filter floss. If it dropped in comparison to the water surface of the aquarium, carefully flush the upper filter media or replace them. What is the best way to clean the JUWEL filter? It goes without saying that the manner and the frequency of cleaning the JUWEL filter depend on the individual conditions. Our recommendations to clean or replace the media are based on average experience: Replace the white poly pad on a weekly basis. Replace the black carbon sponge approx. every month if needed. Replace the optional Carbax filter basket after approx. 2 months. Replace the green Nitrax sponge every 2 months. Replace the blue, coarse-pored filter sponge after approx. 3 months. 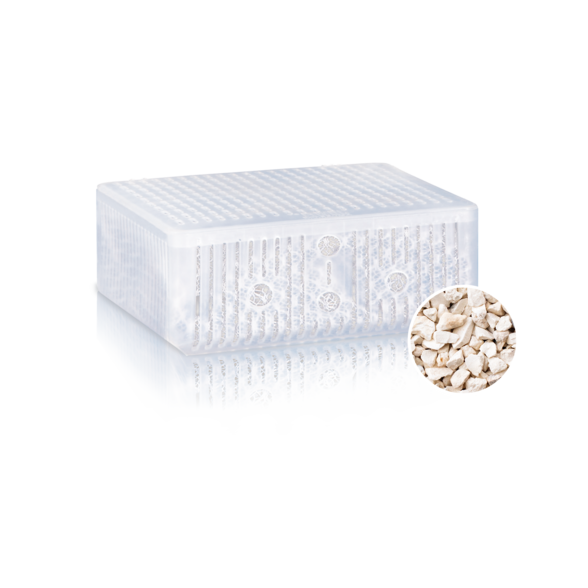 Replace Cirax filter baskets with ceramics after approx. 12 months, Phorax after approx. 2 weeks and Amorax after approx. 3 months. Replace the blue, fine-pored filter sponge after approx. 9-12 months. Important: For safety reasons, always disconnect all devices that are operated in the water from the power grid during the filter maintenance. Never replace all blue filter media at the same time. Check the water level in the filter at regular intervals; if the water level drops, the media will need to be replaced due to the fact that they are clogged and prevent the water from flowing through them. How does the JUWEL filter system function? The JUWEL inside filter "Bioflow" is a biologically operating aquarium filter. The filters are adapted to the respective aquarium volume in an ideal manner: The capacity of the filter pump is designed for twice or 3 times the throughput per hour (e. g. Rio 180 = 180 litres at 600 l/h pump capacity). Thanks to its great volume, the filter features extensive backup capacity and it has a long service life (e. g. fewer maintenance intervals). 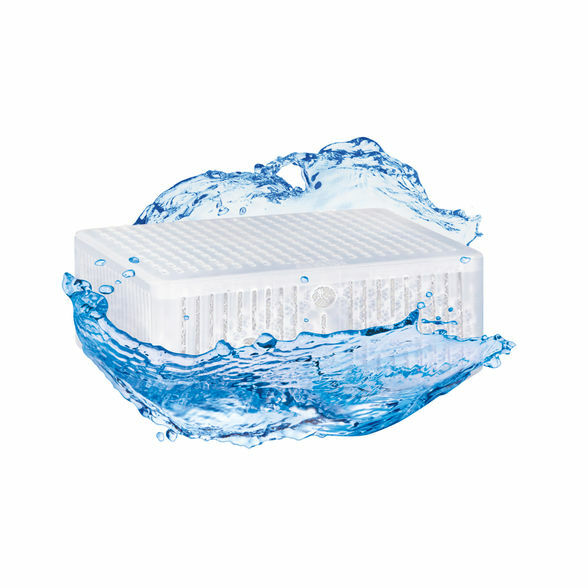 The JUWEL inside filter is equipped with various filter media that facilitate biological pollutant degradation performance. 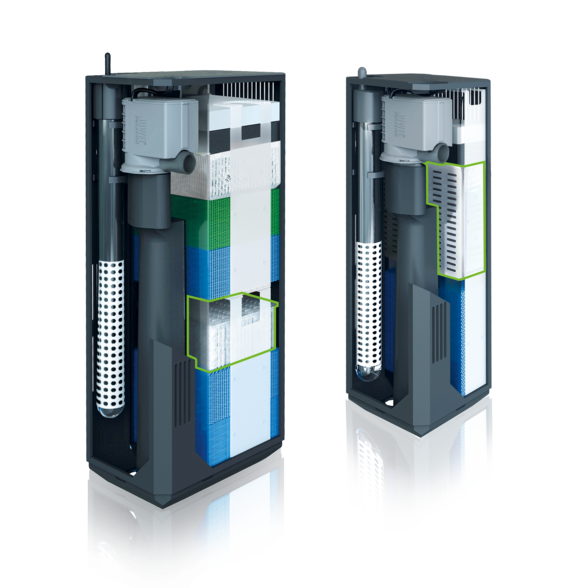 The dual flow principle: A unique feature of the JUWEL inside filter is the dual flow principle in the models Bioflow M, L and XL. The water passes through the two high volume filter blocks at different speeds. This additionally optimises the biological filter process. Scientifically tested: The JUWEL filter system has successfully been tested with regard to its effectiveness in scientific long-term tests by independent institutes a number of times. All JUWEL inside filters are designed with extensive backup capacity, guaranteeing optimised filtering for top water quality. Users appreciate the inside filter’s ease of use and built-in safety: The water stays inside the aquarium! What is the design of the filter? The circulating pump of the JUWEL inside filter pulls the water from the upper and lower water layers of the aquarium into the filter. Due to the special construction of the filter, the water passes from the top to the bottom through the filter media which greatly simplifies the filter maintenance. The filter media are: The white poly pad as mechanical pre-filter. Tip: It absorbs the rough dirt and prevents the other filter media from clogging quickly. The replacement is realised in a simple, quick manner and ensures the full functionality of the system. The black carbon sponge binds chemical contaminations. The green Nitrax sponge contains special micro-organisms that break down nitrate and consequently counter the growth of algae. The blue coarse filter sponge represents the biological filter stage I. Separation of the water flow Part 1 of the filtered water is directly returned to the aquarium through the riser of the pump. Part 2 of the filtered water moves to the “second” filter stage of the biological “slow filter”. Cirax, the white basket with the filter ceramics, filters with a large surface under aerobic (= oxygen-enriched) conditions. The blue, fine-pored filter sponge represents biological filter stage I which operates in a strong manner under anaerobic (= oxygen-deficient) conditions. After that, the water that has been filtered repeatedly flows back into the aquarium.